S has been climbing into M’s seat a lot lately (a booster). 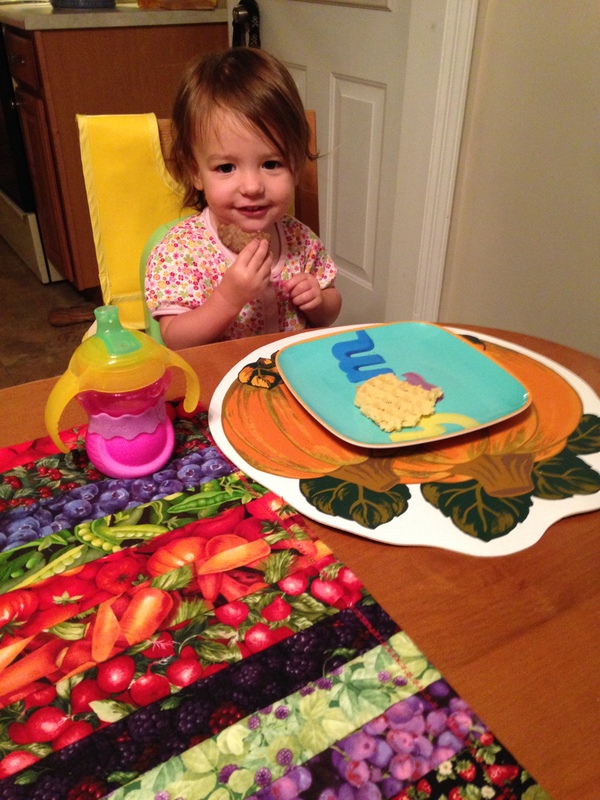 We decided a few weeks ago to move S from her high chair to another booster. Now we’ve decided to take the tray off of the booster seat and pull her up to the table. It’s amazing to see how a little over a week of school has affected her already. She’s almost saying M’s name correctly. M’s classroom and S’s classroom share a fence in their “backyards.” M’s teacher said S was yelling M’s name at the fence last week. They’ve been sitting together snuggling a bit on the couch at home (more S than M) and S is just following M around everywhere. M is starting to realize that if she asks nicely (instead of yelling), S usually will do what she wants her to do. These kids are growing fast! And it’s turned to Fall weather all of a sudden here, which makes time feel like it’s going by even faster. Everyone’s asking when my parents will go back to Florida, and I realize it’s not that long until they do. Halloween will be here soon. I’m already thinking about Thanksgiving and what we’ll bring to New Hampshire. Christmas is just around the corner and I’ve even wrapped my first gift. In my defense, I’m sending them home with my parents, so that’s my motivation. Such a big girl!! I can’t wait to see her in action at Thanksgiving. :) I agree, Fall really flipped on like a switch this year. Love it.